2014 dB Performance Jason Lapierre Memorial 3 day Omnium is a 'go' !! Aug. 8 - 10. The Tech Guide is now live! Available here. The road race on Aug. 10th has been scheduled due to everyone's overwhelming positive feedback from our survey. Aug. 8th evening: PedalHead Crankmaster 20km TT in Airdrie. Aug. 9th evening: Downtown Calgary Kids Event and Criterium. Aug. 10th mid-morning: Bergen Hills Road Race near Sundre. Registration is live right now here. Volunteer sign up. Please volunteer for as many roles as possible. If you plan on racing, there are a lot of positions where you can lend a hand and still race. There are also several positions that your spouse or friends wouldn't mind helping out with since they are exciting, like marshaling for the Crit or helping out at the Bouncy Castle! this year to sign a mass amount of Contracts.... but STC has all the permits in place! Let's race! I am hoping to make the Wheeler's ride in the morning and have heard of at least 3 others trying to make it, so if you're looking for a good ride in the morning, see you at 9am ! In a couple of weeks we will be taking over the running of WNS for the third series of five races. I am trying to do my part in making this a very safe and fun race series for everyone. One of the best ways to make these events safe is to have plenty of volunteers and that is the main purpose of this post. We need on average 4 volunteers for each race. Please start thinking about which races you can volunteer for, or race and bring a volunteer. There are lots of series points for volunteering and bringing volunteers. We also need first aiders at each race. If you have first aid certification and can come to one or two of the races that will be a big help. I also need someone to take over organizing the Aug 20 race and I have suggested we go to the NW for that race. Leave a comment here or contact me at mikehealy at shaw dot ca if you are able to help. As we get closer to the events I will be updating the WNS blog, link at top of page. It isn't all about upgrading, or even racing, but when someone's hard work pays off with being able to race in a higher ability level, it is worth a big Congratulations! Congrats to Mark Michalski for the upgrade to Cat3 and Adam Pugh for the upgrade to Cat 4!! Well, what a gorgeous weekend to hang out in Canmore. Saturday morning was the start of the RMSR, with a fun loop on the roller ski trails at the Nordic Centre. No TT bikes allowed and only 4.8km made for a short suffer-fest of joy... or so the look on my teammate's face would imply! Lisa loved every blood-filled-lung minute. Right Lisa? This is one not to be missed next year ladies and gents. No seriously. Get up early and get out there. Next up was the Criterium in downtown Canmore. This also served as "Provincials" and knowing this, I was feeling pretty intimidated as I had May and June off with an injury. Wow, what a great way to test out the limpy-leg?! Smart of me; I know. I was the lone STC rep but there were a few other loners too. In typical lady fashion, the onesies grouped together pretty quickly so that we stood a chance. Things started off rather fast with Synergy and Crave working well together and pushing the limit out of the corners. There was one lone Bicisport gal who I knew well enough to know that her wheel was the one to be on, so I hung on for dear life and let her close the attacks. Crave had a good group out and were trying to work together but I think us loners kept getting in the way (wink wink.) Only one crash as a Synergy gal clipped a pedal right in front of the crowd (and the announcer - our very own talented Mike Godfrey.) Repeat after me, "INSIDE PEDAL UP." That Crit course is my new favorite as the S-turn corners work to my strengths by slowing everyone down, thank goodness. Wait, that was supposed to be my quiet voice. When I heard the bell I was so relieved to still be in the race. That last lap was a doozy. Everyone stepped it up 2 gears and I used every ounce of juice I had to hang on. By the time we hit the sprint on the final straight, I waved good-bye and took a 3 sec loss to come in 7th. I had Lisa and Rebecca cheering me on as well as my family which really, truly helps. Thank you. There was a fair amount of debate in the Michalski house last night as to whether or not we should beat ourselves up again today for the road race. If you have never done an omnium event before (3 or more races in a row,) just know that when you show up for the last event with fresh legs... we hate you. Kidding. We envy you. If you are on our team, we LOVE you dearly and hope that you are willing to nurse us to the line. Anyways... at 5:30am, Mark woke me up so I took that as a sign that it was time to see if all those lonely dark nights in the basement on the trainer have paid off. After seeing the Cat 5 and 4 men off the women were ready to go. Lisa, Rebecca, Jenn T, Emily, Erin and I were off. The first lap was fast, and then things slowed down a bit. I tried to stay within the top 5-6 riders so I wouldn't get dropped on the hills. And this course was just all hill. I lost track my ladies in red after the third hill repeat. After the roundabout I saw that 4 of the 5 STC women had formed a chase group and were working well together. Jenn was no where to be found and I later found out she had pulled out sick. I figured I may as well test things out for realz and decided to go with every break. I guess Crave was bored, because they put on 4-5 solid attacks. Those breaks didn't last. Finally on the 3rd lap, a super strong Crave rider put on a huge solo break, with her teammates creating a challenging wall for us to get around. It stuck. Darn. At this point I was at the end of my matches and began to cramp. Try stretching out your inner thigh on the bike. Not pretty. I figured at this point I was probably not safe to be around and pulled off. 3 cars (no kidding - I must have looked that bad) pulled over to offer me a ride. Nope. I waited for Rebecca and Emily to come by and pull me to the finish. Ouch ouch ouch. So I think that I racked up a total of 5 whopping points this weekend. I finished with a smile, well, grimace on my face and got to spend the weekend in the mountains. Thanks ladies for coming out! Here are the pics Mark took. Lisa & STC ladies crushing it!!!! Rundle Mountain Stage Race... Roll call and car pool. Hello Teammates! I see that there is a bunch of us tackling the Omnium as well as individual events. So now is your chance to connect on the blog and strategize how you are going to tackle that hill-laden road race as well as arrange car pooling (parking was tight last year at the nordic centre) and just say "Hey, I know I could be at Cowboys, but -No. I am going to get up at an ungodly hour and race." Calgary 70.3 Draft Marshals wanted. The Calgary 70.3 is asking if there are any cyclists that would like to be draft marshals at the race this year? The position would be, that you sit behind a Motorbike driver and direct him where to go and how fast. You observe the field, yell at drafters, and penalize the worst. I have done this position before at the Sylvan Lake Half in 2006 and it was pretty cool. You can get to see the event from a different perspective and appreciate the distance differences between the pros and the age-groupers. You can sign up as a draft marshal here if you would like. Sarah and Emily with some of the Crave team. We had three STC ladies out for the Stampede Road Race today – Sarah, Andrea and me. After a great pre-ride with Marie on Friday, we were armed with some race tactics and were ready to go after a good warm up. The guys ready to head out! All Masters Women and the Master Men’s D and E started together, the last group to be sent off. After a few hundred of meters behind the neutral car, we were off on a downhill with a decent climb on the other side. Sarah, Andrea and I were together at the start in the first third of the pack, but were split up during the ascent, where hill climber Sarah was able to stick with the lead group and I ended up at the front of the second small group. The rest of the riders were strung out, but Andrea was still behind me, as was one of the Crave girls and a couple of guys who eventually pulled past us. The three of us agreed to work together to try and catch the lead group and it worked well – by the first corner we were about 100 meters away…and then they attacked on the corner and were off again! We rounded the corner on to the nice, new asphalt and continued to work as a group, but it just wasn’t happening for Andrea and the Crave girl, so I pulled off with the intent to try and TT it to the lead pack. As before, I was within 100 meters when they hit the next corner and attacked, and I suddenly seemed to lose 150 meters! I rounded the corner and, as I was cresting the small incline, saw the wheel car pull over. As I passed, I see ‘good luck’ Sarah with her Betty White face on frantically changing her wheel while yelling about some guy that didn’t hold his line and broke her spoke. Not one to leave a teammate behind, I slowed and waited for her. By the time she got on, a group of seven (or five, I only remember it was an odd number) Crave girls caught up and we formed a nice group. Harley came out to cheer in his wicked 2009 Team Champions STC kit! Marie warned us on Friday that there will be exciting women's races, where there are attacks and lots of action, and there will be races where the ladies don’t do much. This one was a race where nothing much happened for the majority of it. Sarah and I tried to lead off with two Crave girls, but one of them laid it out for us, saying that most of the Crave ladies were doing their first race and they would be sticking together. Ultimately, Sarah and I decided it was better to stay with the pack and work together than try and lead out with just the two of us. In retrospect, I really think Sarah and I could have done it, but regardless, working with the Crave girls allowed us to have a good amount of fight left for the finish. We rounded the final corner with about 6 km to go. The finish was a downhill then a steep uphill that levels out for 150 meters or so before the finish line. I told Sarah that I’d get in front and slow the girls down, and let her come around and push up the hill. We were all silent as we hit the final 1 kilometer, but my timing was perfect and about halfway down the hill I got in front of the pack and slowed right down. Sarah powered around the right, but two of the stronger Crave girls saw what was happening and passed on the left. It was a close fight up the hill and I lost sight as I was in the midst of my own battle with two other Crave girls. As we rolled up the hill, one passed me and the second girl was just pulling even with me when we crested the hill. I thought I had nothing left, but I found one more match, and lit it in the final 75 meters, pounding it out and finishing inches (Harley said about six) in front of the other two girls. Men's Master B peloton hard at work. In the end, Sarah finished with fourth and I finished fifth. Although Andrea bonked early in the race, she toughed it out and finished strong. It was great fun and a super supportive environment, and a fantastic day for a good ride. I think each of us learned something about ourselves – never give up, and you always have something left! We all hope to see some ladies out at Rundle Mountain and at future races. We will be a powerful force once we are all working together! Last Chance for Sunday's Stampede Road Race! Time is running out for registration for the Stampede Masters Road Race! Registration closes at 11:59pm tonight. This is a great race - short and sweet. Burgers at the finish line. 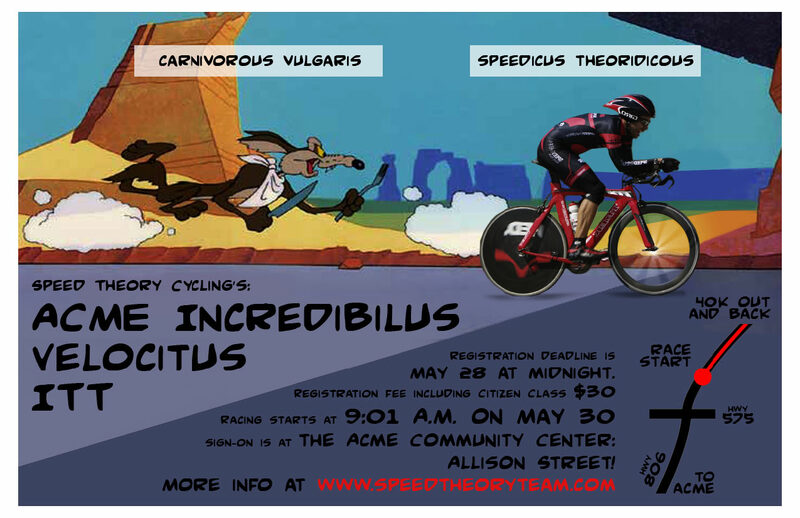 There are already a few STC racers registered, but let's get a good group out there! Ladies, don't forget to check the training ride forum as we have a small but enthusiastic group heading out to pre-ride tomorrow! STC members put on their calendars. May 10 - 16, Penticton Training Camp. to try to attend if you plan on racing ABA events. Races we would like STC members to try to attend. Of course, the more races you race, the cooler you are! Races we expect team mates to make a big effort to attend. Of course, the more you race, the cooler you are. Races we expect team mates to make a big effort to attend. Of course, the more you race, the cooler you are.